Advances in domestic gas production have brought about lower US natural gas prices, in turn attracting significant investment in new olefins and plastics (i.e., resins or polymers) capacity. The latest olefins plants will come online in 2016, and by 2018, polyethylene (preferred resin derivative) exports are expected to reach at least 4.6 million metric tons, equivalent to over 230 thousand TEU (twenty-foot equivalent container units). This marks the first time the industry has needed to export product on such a major scale, and our previous studies warned about this upcoming “Big Bang” disruption starting in 20131,2. We also advised that the biggest risk to new expansion would be declining oil prices. The competitive advantage of gas-based ethylene manufacture diminishes when oil prices decline, since oil-based ethylene manufacture sets global prices. With oil prices dipping in the $20-$30/bbl range in January 2016, chemical producers will need to put increasing focus on maintaining the highest netbacks possible from export sales! To put this into perspective, some familiarity with the past is needed. In 2008, plastics exporters were faced with a shortage of intermodal shipping containers, due to the unexpected upswing in export demand following a drop in the value of the US dollar. Although containers seemed plentiful at other ports nationwide, many were destined for use at specific locations while others sat fully laden, waiting for customer pick up.3 Carriers (also known as steamship lines) then began adding surcharges or “pick-up fees” of around $150 per 40-foot container to reposition them to Houston4. This caused supply chain delays, additional expenses and much frustration to plastics exporters. Added to this was the difficulty of reserving space on outgoing ships. With such an increase of plastics production, how will they get to market? What supply chain requirements need bolstering based on the current infrastructure? Are petrochemical producers prepared to adjust, and maybe even radically upend, their supply chains to deliver their product to customers? As with every story, there are two sides. One is the polymer producer’s perspective, in which there are not enough containers in the Houston port area, the closest major seaport to most of the resin capacity coming online. However, what the producers fail to comprehend is that, in the international network of ocean container shipping, exports from the Port of Houston are relatively few compared to the inbound container volume. Houston has more exports than imports, causing a structural container deficit, although this does not mean containers are not available in Houston. See a macro view of container surpluses/deficits, by port, based only on import/export data in Figure 1. Any movement of containers into Houston would typically be driven by the import market. A sizeable number of containers coming into the Port of Houston are for the Texas market, driven by large retailers5. Without the proper incentives, steamship lines will reposition the empty containers back to Asia, where there is a chronic container deficit, thus starting the shipment cycle all over again. Doing this is often seen as a better value proposition because their pricing structures build in the repositioning cost. Steamship lines would be delighted to transport full container loads back to Asia, but the business case must be made in terms of pricing and added transit times to bring containers back to the deficit areas. Therefore, resin producers will need to provide consistent and reliable export products at remunerative rates for carriers to serve empty container deficient ports, some of which are on the US Gulf Coast. Otherwise, manufacturers will need to ship their cargo, via railcar or truckload, to the US East Coast, the US West Coast, or even, the Mexican West Coast, where there are plenty of empty containers to load for exports. Figure 2 shows locations of planned resin capacity and routing options for Texas-based resin production sites, which will account for 52% of new resin capacity by 2020. We believe a key part of the solution resides in the employment of technology and proper forecasting. If the shipper, that is, the resin producer, builds the capability and systems, the forecasted export information can be sent via electronic data interchange (EDI) to the carrier, thereby facilitating the repositioning of empty containers to the plant location. A solid sales and operations planning (S&OP) process is also needed at the resin plant, with clear communications to the carriers. This would provide the needed stability and reliable volume projections desired by carriers. Furthermore, linking EDI to trucking companies would allow more efficiency in local drayage (i.e., trucking hauls, usually over short distance, such as in the port area to port terminals) movements with decreased wait times and detention charges. On the other end, steamship lines need to be nimbler and have better systems in place to locate and move their containers to demand areas. With reliable forecasts and regular shipments by resin producers, it may also be viable for carriers to directly enter longer term contracts with plastics producers, promoting business continuity. Resin producers need multiple export routing options. In no way is contracting with a single service provider or carrier ever the best option. Shippers must have the flexibility to divert cargo to other ports in case of labor lock-outs; adverse weather conditions that may affect a single port or an entire region; changes in port rotation, including port skips (when a ship bypasses a port call on its usual rotation); and natural disasters, such as hurricanes and flooding (see past blog on natural disasters, especially along coastal regions). A labor lock-out on the West Coast leaves shippers scrambling to reroute via Canada or Mexico. A lack of empty containers near the plant or export packer incurs significant warehousing fees and additional carrying costs. These scenarios have all occurred in the past few years. It is likely they will happen again, along with other situations that disrupt supply chains. Polymer plants are mostly located where there are multiple access points to ports via truck and rail. Resin producers should take advantage of their favourable geography and build flexibility into their network optimization models and supply chains. We will continue to study the Big Bang disruption occurring in North American chemical logistics. Watch this site for more insights. 1 Bjacek, Paul. 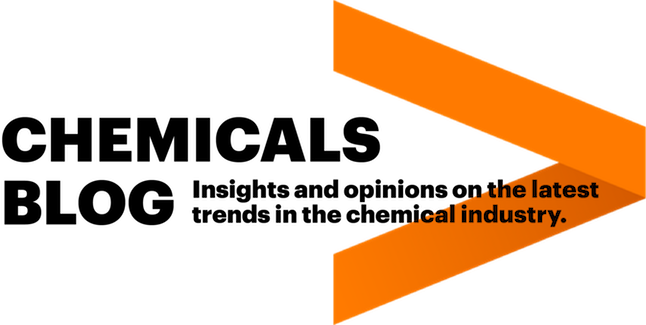 “Preparing for a Changing Petrochemical Supply Landscape,” Accenture, 2013. 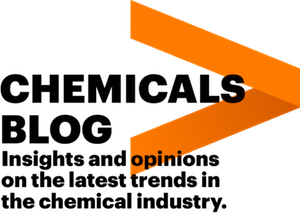 2 “Exploiting big bang disruption in the chemicals industry,” Accenture, 2014, https://www.accenture.com/us-en/insight-exploiting-big-bang-disruption-chemicals-industry. 3 Moreno, Jenalia. “Container shortage puts some exporters in a box,” Houston Chronicle, June 22, 2008, http://www.chron.com/business/article/Container-shortage-puts-some-exporters-in-a-box-1586107.php. 4 “Hapag-Lloyd, MSC Set Inland Box Surcharges,” Journal of Commerce, March 16, 2008, http://www.joc.com/maritime-news/hapag-lloyd-msc-set-inland-box-surcharges_20080316.html.